MANILA, Philippines – A new day has come to Manila! 5-time WWE Tag Team Champion, Xavier Woods, of The New Day, has finally made his long awaited return to the Philippines! 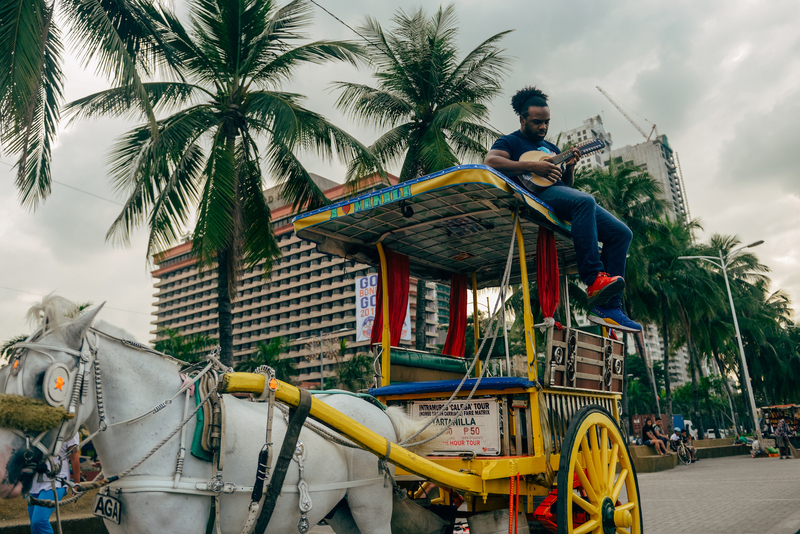 Arriving shortly after sunrise, Woods began his trip with a short Kalesa (horse-drawn carriage) ride through the beautiful Manila Bay. Always up for an adventure, Woods sampled Filipino street food: deep-fried calamares and orange soda, served in a clear plastic bag. Xavier Woods began his afternoon with a special 5X5 basketball game that featured athletes from Special Olympics Philippines. The game was supervised by members of Alab Pilipinas, champions from the ASEAN Basketball League. After a showcase of drills, everyone took to the court for a fun, tag-based game of 5X5 basketball. After the event, Xavier presented the athletes from Alab Pilipinas and Special Olympics Philippines with gifts from World Wrestling Entertainment. Xavier Woods’ return to Manila was marked before a passionate crowd at the SM Mall of Asia. Woods first came to Manila in 2016 where he defended the WWE Tag Team Championship in a triple threat match with teammates, Kofi Kingston and Big E.
At the event, the WWE Universe was treated to a number of surprises. Three lucky fans were given the chance to come on stage and recreate Woods’ entrance walk, complete with music and video. Once on stage, he fielded a series of questions before experiencing a number of uniquely Filipino activities. This began with Woods eating a whole Balut (hard-boiled duck embryo). “I feel the power!”, Woods exclaimed upon finishing it. Driven by the power from Balut, Woods danced the ‘Tinikling’. The traditional Filipino folk dance involves two dancers rhythmically skipping between two moving bamboo poles. After experiencing two cultural hallmarks, Woods sat down and met the WWE Universe in the Philippines. He then finished his night at Playbook Café for a mini tournament with fans. For additional information about Xavier Woods, The New Day, and WWE, please visit: http://www.WWE.com or follow the WWE on its social media pages: Facebook (https://www.facebook.com/WWE) | Twitter (https://www.twitter.com/WWESEAsia) .